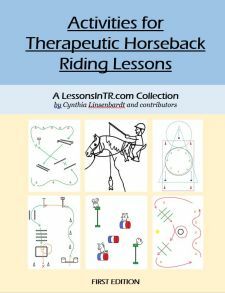 This is the introductory Gymkhana lesson plan I used starting with the simplest pattern, the Single Barrel, to teach about Gymkhana and how to turn around a barrel. Gymkhana Introduction – while students are walking on the wall, explain what Gymkhana is and why we are doing it (see Gymkhana Games and Patterns post for this info). How to Go Around a Barrel – point out the cones around the barrels. Explain how to go around the barrel and keep their spacing from it (see Gymkhana Games and Patterns post for this info). Single Barrel Pattern – (See picture 1 below). Explain. Show a picture or use whiteboard if needed. Practice Single Barrel – each student has their own barrel to practice with at the same time. Start at a the walk to learn the pattern and barrel spacing, then take away the barrel cones so they have to steer the spacing themselves, then add trotting to and from the barrel. Progress to Turn N Burn Pattern – (See picture 2 below). Explain it’s like the Single Barrel but add a circle around the barrel. Practice several times. Progress to Birangle Barrel Pattern – (See picture 3 below). Explain. Practice. Have students follow each other through it or one at a time. Student will demonstrate direct rein steering without a leader at the walk through a barrel pattern 3x with minimal prompts. Student will demonstrate 2 point trotting for the length of one wall 4x. (In this case the length of one wall is the strait stretch to and from the barrels). Student will perform a 3 step pattern with no prompts, with leader and sidewalker. (3 steps: walk to the barrel, circle the barrel, walk back to the cones). As shown, progress from Single Barrel, to Turn N Burn, to Birangle. Progress from walk , to trot straight stretches, to trot whole pattern. Progress from leader clipped to leader spotting. There are so many good tips, lessons and idea. I love that it is broken down to one or two ideas a week so I don’t get overwhelmed! I look forward to the weekly posting as it has re-energized me and my lesson plans! Thank you so much for creating this site. Thank you for your compliments! I love hearing that people enjoy and use the blog. I’m so excited you find it useful! Happy teaching! Thanks for this. 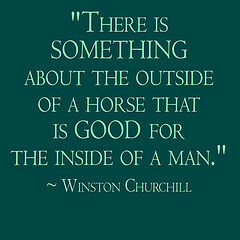 My son with Autism is just starting in Gymkhana, and this is a great resource for both of us!